Bhuna Chicken is the famous Indian chicken dish cooked in tomato based gravy with fresh fragrance of ginger, garlic and masala. This gets its name because the spices are fried long enough. Whilst the process is divided into two parts, it is still a very easy to cook and less cumbersome. 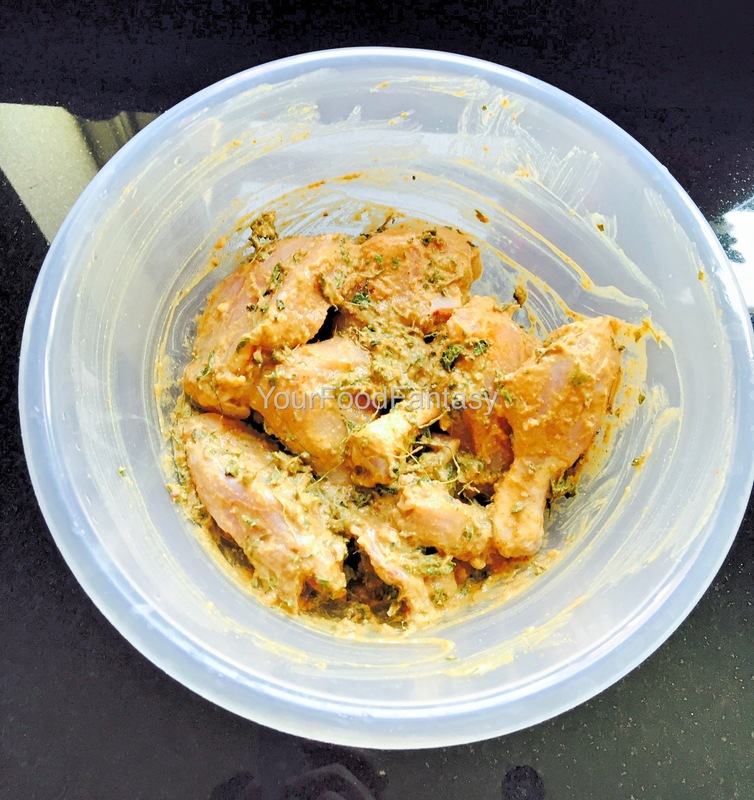 I always propagate to marinade non-vegetarian dishes, as it lets the spices permeate into the chicken/ lamb, etc. to offer an enhanced flavour. In this recipe I have followed the same, however one may choose to marinate for less duration or not do it at all. 2. Now put oil in a pan/kadhai and add bay leaf, cumin seeds, and cardamom. 3. Once they turned brown, add finely chopped onion. Once the onion are fried add fine chopped tomatoes, salt and spices. 4. Reduce the flame and cover the pan for few minutes. Once the mixture is pulpy open the lid and roast the paste until it starts leaving oil. This way you get the perfect bhuna paste. 5. Now add marinated chicken with 2 cups of water and cover the pan. Simmer the flame and cook it until chicken is well done. Open the lid and roast it for 5 more minutes and switch off the flame. Garnish with coriander leaves and ginger chilli julienne and serve hot and enjoy with Butter Naan or rice. Hi Priyanka, I didn’t grind the paste. I chopped both the things finely and then roasted them on slow flame, so the paste came smooth and fine without grinding.